This is the second book to attempt to cover the extensive Bergstrom collection. 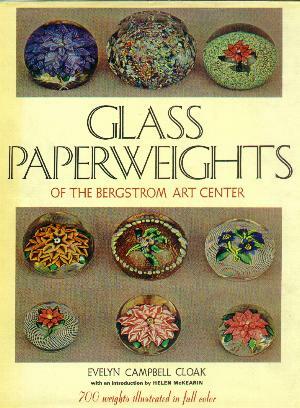 The first book was the Bergstrom book itself, but this book was written after the Bergstrom Art Center was established. There are 700 paperweights shown in color. 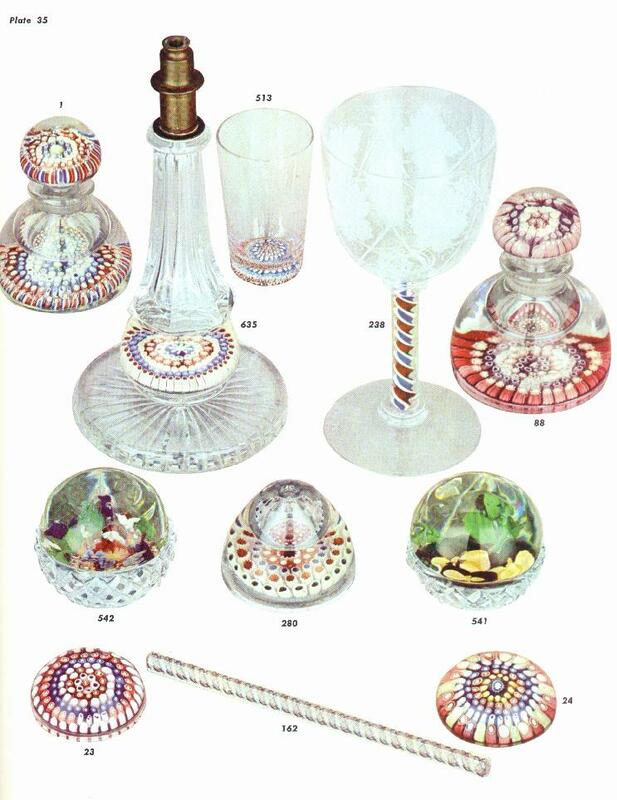 A great reference covering a wide range of paperweights from the very common to the very rare. Some people prefer this version because of the larger pictures, however the scholarship is earlier and some attributions are corrected in the more recent Casper book on the collection. The bibliography is extensive. If money is no object, you can't go wrong having all three books. Each has a different perspective on the collection. 196 pages with everything in color. Hard bound. 8 3/4" by 11 1/4". 1969.